Continue reading"The Military Heritage Annual Award"
Continue reading"Memories of the 1966 Easter Rising Commemorations"
Continue reading"Conference: The Emergence of Modern Ireland, 1912-2016"
Peacekeeper – Poetry Collection by Michael J. Whelan MA Inspired by his tours of duty as a United Nations Peacekeeper with the Irish Defence Forces in South Lebanon and Kosovo, Michael J. Whelan, poet, historian and writer, has compiled his poems into a new publication titled “Peacekeeper”. 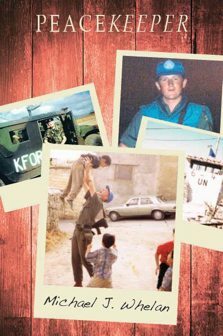 Continue reading"Peacekeeper – Poetry Collection"
Copyright Military Heritage of Ireland Trust CLG (MHIT) © Registered Charity Number - 329565. All Rights Reserved.